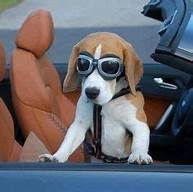 Beagles are cool, way cool (we have two). 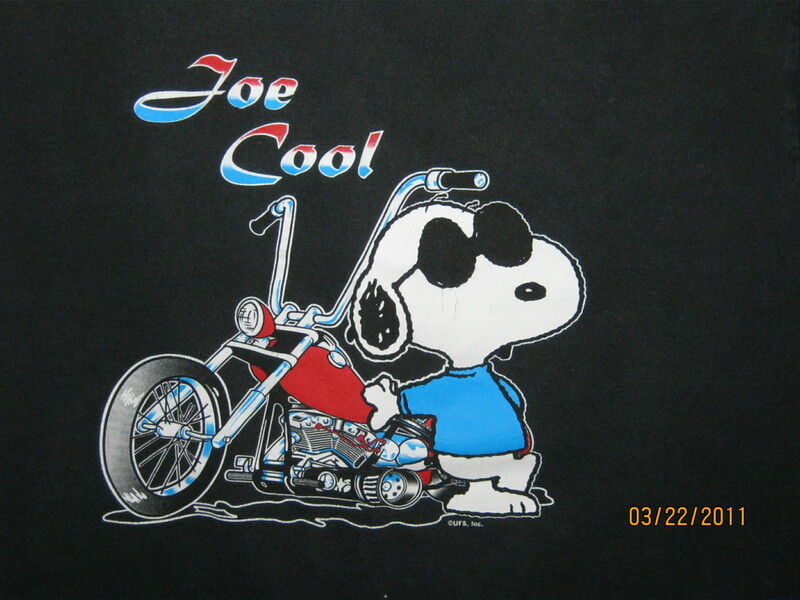 Snoopy is the coolest beagle, and Joe Cool is the Steve McQueen of beagles. He just exudes cool. Beagles, in particular (probably because of those ears), and dogs in general, love to feel the wind in their faces and fur. They know what motorcyclists and convertible sports car drivers know. They get it. Be it in a sidecar rig or a convertible, they are always show stoppers. Be prepared to get lots of attention! 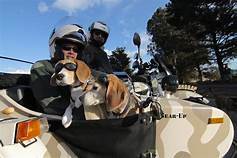 This site is about motorcycle and sports car travel, with and without beagles. We would like to appeal to both motorcycle and sports car enthusiasts who like to tour leisurely or with gusto in either or both modes of conveyance. Our inspiration to now dive into both worlds comes from two of motor sports most famous personas; Steve McQueen and Jay Leno. Both of these enthusiasts were, and are, equally passionate of motorbikes and performance cars. We hope you join us as we expand our motoring adventures. It is so cool the way people do open up to travelers on two wheels- it’s like there’s a spark they want to encourage and share. There’s a way you’re more engaged with the world when you’re not surrounded by metal. I’d love to see dogs in side cars!! I 100% agree with this! I feel like when you ride, you stop and notice life more, including talking to more people. The motorcycle crowd is a different breed and I love it! When take our bikes out, we find roads we normally would not take by car, we explore everything we can!!! We were wondering the same thing about putting our 2 boxers in a side car with little goggles!!! That would be a fun conversation! And don’t forget their little boxing gloves!